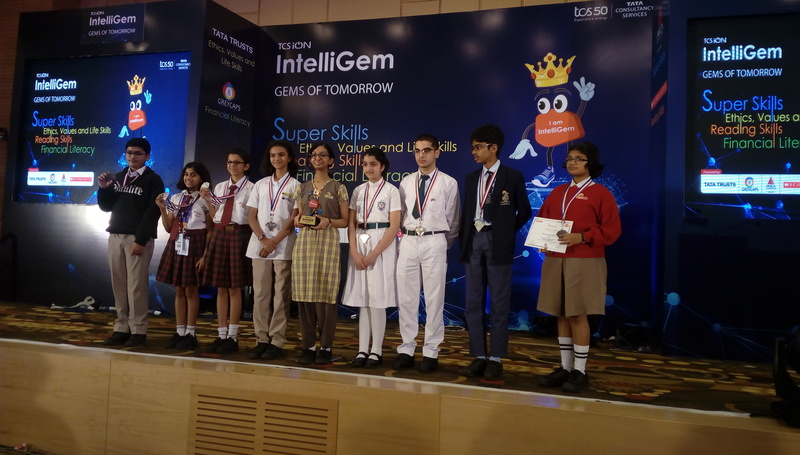 Two students of DPS Srinagar – Sualiha Khan (Class 6) and Azeen Riyaz (Class 10) secured silver medals in the first edition of an aptitude contest “TCS iON Intelligem” organized by TCS iON, a strategic unit of Tata Consultancy Services. Schools from across the country participated in the contest, and the team of DPS Srinagar secured the runner up position. Over twenty-five schools had qualified for the contest after a three round competition. The finals witnessed a tough competition as each team strove to give its best. The Grand Finale was held on the 25th and 26th of January, 2019.